In the past few weeks, I've heard some interviews on NPR's Fresh Air that made me think about the first songs I liked while growing up and why. Eventually, these songs would lead me into a life of music (at least as a hobby) and drumming. Here are a few that influenced me. My parents had an 8-track player, and the cassettes they bought were usually of the K-Tel Hits variety. Back then, even as a young lad of 5 or so, I loved the attitude of this song. (I didn't even know the name of the band until I just looked them up.) Years later, Motley Crue would cover this song, which fit their bad boy persona. Star Wars changed my life. It was the closest thing I'd experienced to a waking dream, weaving together fantasy and Sci-Fi elements that a 10-year-old boy could really appreciate. The other thing I could appreciate was the music. After my parents bought me the double-album soundtrack, I'd race home from school and and listen to all those great themes. By using the leitmotif technique, Williams attached musical themes to characters or events. This made it easy to recognize Luke Skywalker or Princess Leia's theme. 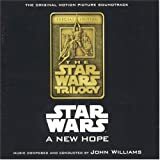 Years later Star Wars: A New Hope Special Edition soundtrack was released, which included the entire A New Hope soundtrack (they couldn't fit it all on two LPs), as well as a bunch of unreleased tracks. The most interesting was "Binary Sunset (Alternative)," which was the original score for the famous shot of Luke looking off into Tatooine's twin suns. But George Lucas didn't like this version, and he was right. I've never been able to imagine it in place of what ended up in the movie. Grease was no Sound of Music (a movie I despised as a kid). I remember not being excited about seeing the movie, but I'd never heard music like this. 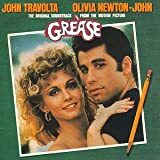 Tracks like "Summer Nights," "Greased Lightning," "You're the One That I Want," "Born to Hand Jive," and "We Go Together" reached into my skinny pre-teen body and made me want to dance and sing. After the success of Star Wars, there were a bunch of Sci-Fi shows that ran on TV. I didn't care if the shows were good or bad -- I watched them all. 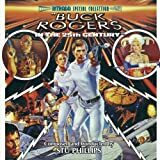 In the pilot episode of Buck Rogers in the 25th Century, Buck (Gil Gerard) breaks out his dance moves at a futurama disco after he tells the keyboardist to play "Something kinda funky." When I got the soundtrack of this show, this synthesizer composition really grabbed me. I would play it over and over, until my Mom told me to turn it off. This was the song that made me want to be a keyboard player, and I did learn to play keyboard by ear. I heard "Jane" on the radio and instantly fell in love with it. Something about the opening riff of the guitar with those effects and the powerful singing in the verse spoke to me. I liked the song so much I wanted to buy it, but I didn't know the band who played it. I took a trip to the record store in the mall and gave the clerk a near impossible task to figure out what the song was. I don't know how he figured it out, but the first record he put on was the right one. Little did I know that Jefferson Starship went back a few years, with many members who were also in Jefferson Airplane, who had played Woodstock. For Freedom at Point Zero, lead singer Grace Slick had been replaced by Mickey Thomas, who had an amazing tenor voice. Later she would come back to the band. There was something about keyboards and synthesizers that pulled me into this song -- but there was a lot more here, too. You can hear a little Disco in the bridge, similar in strings in "A Fifth of Beethoven" by Walter Murphy. And between each chorus and verse, there are electronic drum sounds. "Come Back" was another song I'd heard on the radio but didn't know the band. I'm not sure how I figured out that J. Geils Band was the band, but I ended up buying the album, instead of the single. In fact, this was the first rock album I'd ever bought. "Come Back" included many catchy riffs, but it was the synthesizer in the bridge of the song that really caught my attention. I also liked the flanger effect that was used in this section. Years later, I'd ask for the flanger effect on my drums for the Wake instrumental track "Greed's Grey Matter" (about halfway through the song). This song is forever attached to becoming a teenager. I remember hearing this song on the radio, and I went down to the mall and bought the single. I remember it was a Friday night, and I was going to my first dance at my junior high school. Before the dance I played "Another One Bites the Dust" over and over. And when I got to the dance, the song was also playing in the gym. This synchronicity probably doesn't sound like that big of a deal now, but in the days before the Internet and instant cable news, this kind of thing just didn't happen that much. My introduction to this song came by way of a fellow musician in junior high school band. He was talking about this band Rush and their song "Tom Sawyer" in particular. He played the keyboard melody on the marimba for me, and I liked it. Later, I would go down to Pay Less and stare at the album cover Moving Pictures. There was something about the design of that album cover, along with the names of the songs ("Tom Sawyer," "Red Barchetta," "YYZ," "Limelight") that seemed to stir my imagination. Around this time, I was also getting into drums. I used to go over to my friend Brian's house and we'd play on his brother's kit. One night, another kid came over who was also a drummer. He showed us the beat to "Tom Sawyer." Something about that drum beat grabbed me. Then I finally heard the song. I was trying to go to sleep, listening to my GE clock radio, when "Tom Sawyer" came on (I recognized it by the keyboard melody in the middle). Something about that growling synthesizer at the beginning, the drum beat, the singing, the guitar was... perfect. And I thought that the singer Geddy Lee was a woman. Rush would become the band that would cement my love of music and drums and become the soundtrack of my life.